Matty Forde and Wexford's championship summer came to a disappointing end as goals from Ciaran O'Reilly and Eamonn Maguire saw Fermanagh claim a 2-12 to 0-11 victory in Enniskillen. Issued with a 12-week suspension earlier today, Forde watched on from the stands as his side scored just one point from play in the entire second half. O'Reilly slotted home a penalty just before the break to help the Ernesiders into a 1-06 to 0-06 lead. Tom Brewster took his tally to 0-06 (5f) in the second half. Eric Bradley, Liam Murphy and Diarmuid Kinsella kept Wexford competitive, but Maguire's 67th-minute strike ended the visitors' fight. In front of 7,536 sun-splashed spectators, Wexford looked a shell of the team that knocked Meath out of the Leinster championship - showing just how vital Forde's presence in the side is. 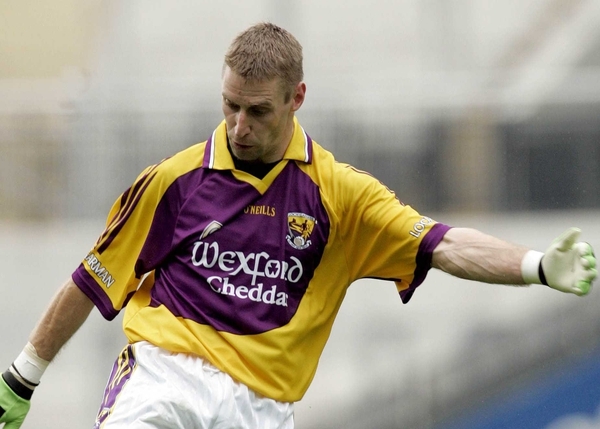 The absence of his scoring power really dented Wexford’s chances – Forde notched 1-25 in his three previous games. Manager Paul Bealin could do little as his side hit 11 wides, four more than their hosts this evening, and used three different free-takers. Fermanagh motored into an early lead with three points inside the opening ten minutes from Brewster (0-02) and O'Reilly, but Wexford soon settled into what was the counties' first ever championship meeting. Energetic captain Ciaran Deeley, with a skyscraper of a point, Kinsella, who was operating in the half-forward line, Paddy Colfer and Bradley were all on target inside the 20-minute mark as the Model men nosed into a 0-05 to 0-04 lead. Brewster and the fit-again Marty McGrath then arched over scores at the other end, restoring Fermanagh's advantage. Kinsella's second free squared up the game for the fourth time, yet a controversial penalty award saw Charlie Mulgrew's charges turn around three points to the good. Wexford full-back Phillip Wallace was penalised for a foot block on Mark Murphy right on the stroke of half-time, and corner forward O'Reilly, who finished with a nifty 1-03, beat John Cooper with a powerful finish. An awesome four-point run inside the opening seven minutes of the second half saw Mulgrew's men push 1-10 to 0-06 clear with free-takers O'Reilly and Brewster on song. Bradley popped over a '45' to end Wexford's 23-minute search for a score. Bealin's side were credibly looking for points from play as they were far too over-reliant on placed balls. Scores from substitute Liam Murphy (from play), Bradley (another '45') and full-forward Shane Cullen (free), with James Sherry and Adrian Little also on target for the hosts, reduced the Fermanagh lead to four points – 1-12 to 0-11 – with 63 minutes on the clock. However the result was done and dusted a few minutes later when O'Reilly played a free in for wing-forward Maguire to collect and send a delightful chip over Cooper for an opportunist goal. Fermanagh: C Breen; R McCloskey, B Owens, S Goan; P Sherry, H Brady, R Johnston; M McGrath (0-01), M Murphy; M Little, T Brewster (0-06 (5f)), E Maguire (1-00); A Little (0-01), S Doherty, C O'Reilly (1-03 (1-00 pen, 3f)). Subs used: J Sherry (0-01) for M Little, N Bogue for P Sherry, D Kelly for Doherty, F Reilly for McGrath, C Bradley for Maguire. Wexford: J Cooper; B Malone, P Wallace, N Murphy; C Morris, D Murphy, P Curtis; R Stafford, E Bradley (0-03 (2 '45's); C Deeley (capt) (0-01), D Kinsella (0-02 (2f)); R Barry, S Cullen (0-03 (2f)), P Colfer (0-01), J Hudson. Subs used: D Fogarty for Kinsella, PJ Banville for Hudson, L Murphy (0-01) for Curtis, S Roche for Colfer, A Flynn for Deeley.